Practicing medicine in New York for over 20 years. with 44th Street Health and Wellness in Manhattan. Dr. Dovlatyan is proud to offer trusted pain relief services to patients throughout Midtown East, New York City. The Physical Therapy staff at 44th Street Health & Wellness is committed to individualized care and attention at every level of rehabilitation. Licensed Medical Massage Therapists work to rejuvenate and soothe aching joints and muscles as a complement to traditional and alternative methods of healing. A member of the American Society of Anesthesiologists, Dr. Varuzhan Dovlatyan is an anesthesiologist practicing in New York City. In this role he provides patient care with Medical First New York as well as with 44th Street Health and Wellness. A member of the American Society of Anesthesiologists, Varuzhan Dovlatyan, MD, has been practicing medicine in New York for over 20 years. Varuzhan Dovlatyan began his career abroad as an abdominal surgeon in Armenia, and has since practiced Adult and Pediatric surgery and traumatology, Emergency Medicine, and obstetric anesthesiology. Varuzhan Dovlatyan holds fellowships in Traumatology Anesthesia, Obstetrical Anesthesiology and Cardiac Anesthesia. 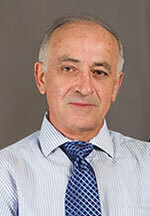 Dr. Varuzhan Dovlatyan draws from a broad range of experiences as a medical professional. He previously utilized his expertise at Park Slope Medical One in New York and with the Kakossian and Khoury Health and Beauty Institute in Brooklyn, New York. Prior to this, he worked with Pain Associates, PLLC, in Staten Island, and with the Brooklyn Hospital Center. He holds a Doctor of Medicine from Yerevan State Medical Institute and received additional training at Brooklyn University Medical Center. In his spare time, Dr. Varuzhan Dovlatyan enjoys cooking his native Armenian cuisine and exploring various recipes from other parts of the world, including Russia and the Middle East. He is also a fan of classical music and enjoys watching his favorite basketball team, the New York Knicks. Dr. Dovlatyan often recommends a combination of rehabilitative manual therapy and targeted exercises as a starting point. In cases where the patient is not seeing enough improvement, Varuzhan Dovlatyan performs Trigger Point and Peripheral Joint Injections. Unless Varuzhan Dovlatyan feels prescription medication is absolutely necessary, Dr. Dovlatyan prefers to educate his patients about lifestyle management of painful conditions while treating the root cause of pain (rather than masking it with painkillers).